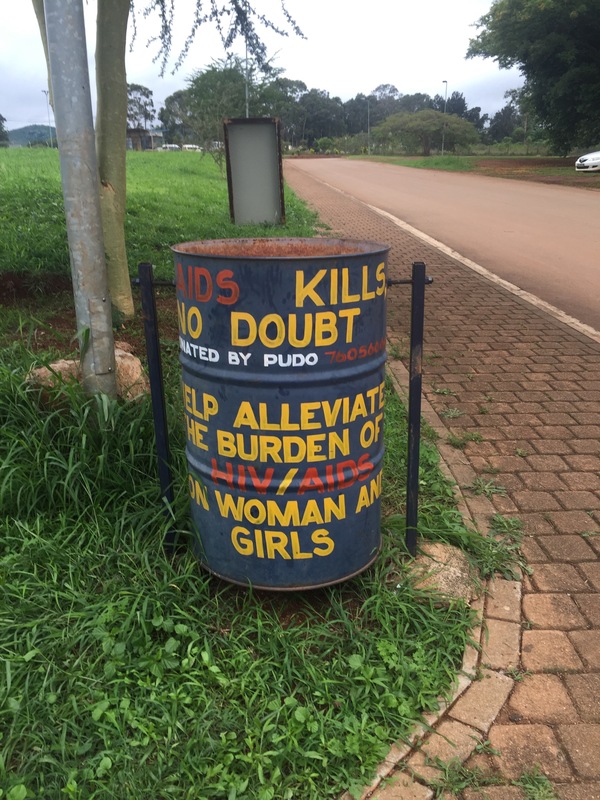 There are very few trash cans in Swaziland. The capital, Mbabane, and the largest city, Manzini, both have trash cans and anti-littering campaigns. In the rest of the country, people litter every where and burn or bury their trash. 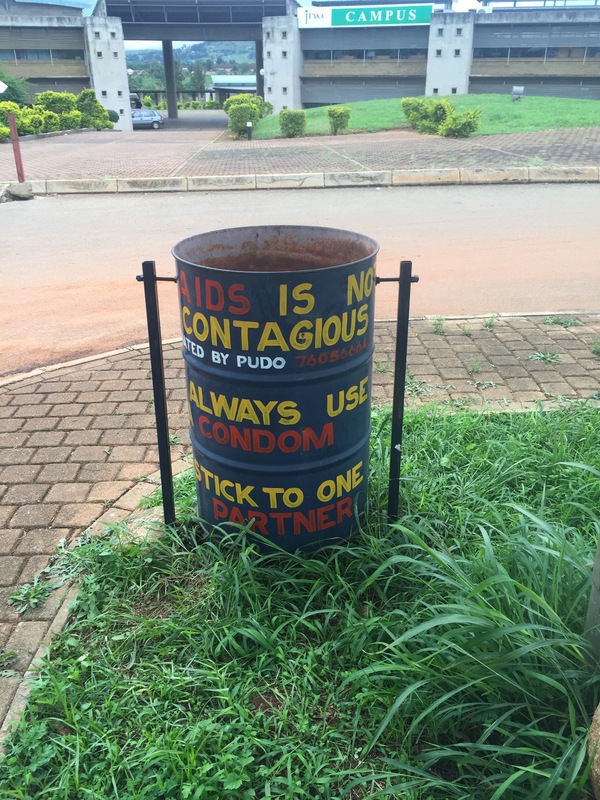 Therefore, it is very exciting to see these trash cans at our training facility, especially because they have HIV and AIDS awareness messages. This entry was posted in Africa, Peace Corps, Swaziland, Wednesday photo and tagged Africa, PCV, Peace Corps, photo, Swaziland, Trash. Bookmark the permalink.